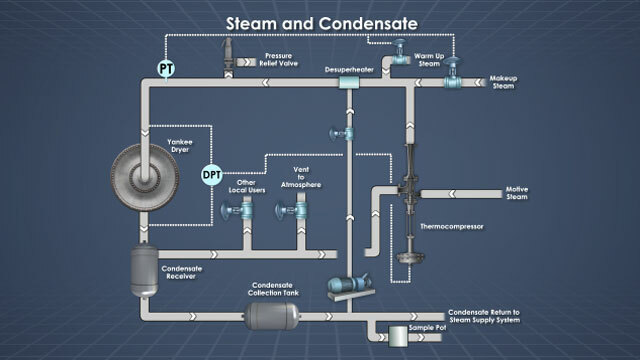 Condensate is returned to the steam supply system. 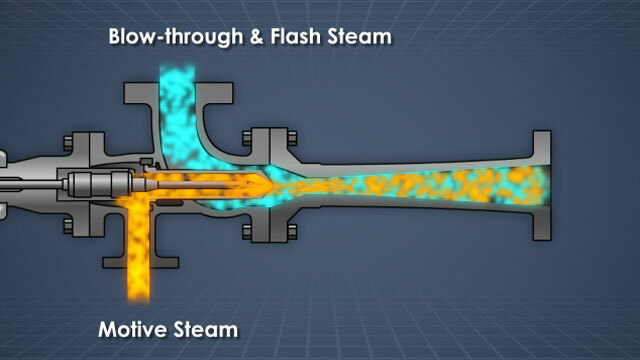 The flash and blow-through steam are sent through a thermocompressor and recycled back into the Yankee steam loop. 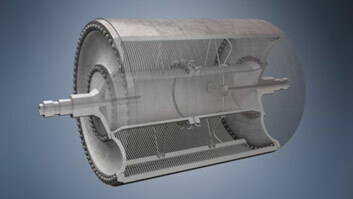 A thermocompressor combines motive steam with blow-through and flash steam. Condesate is removed from grooves by soda straws. 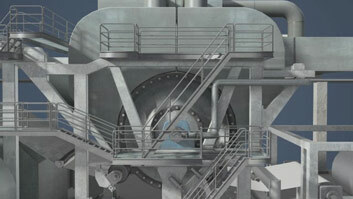 The Yankee dryer is a large, steam-heated, pressure vessel that is used in the production of tissue grades. 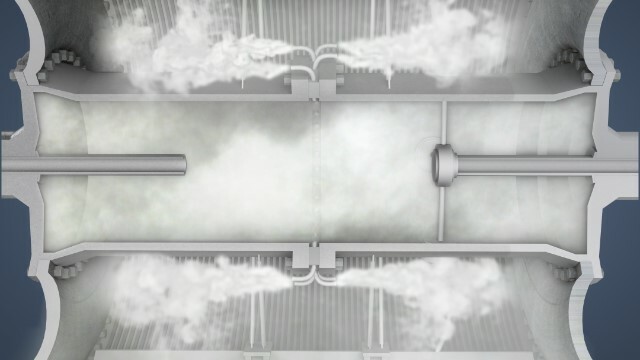 During production, high pressure steam is supplied to the inside of the dryer to heat the shell and dry the sheet, and the condensate that forms must then be removed. This course describes the steam distribution and condensate removal equipment found in a Yankee dryer. It then discusses how the steam pressure inside the dryer is controlled, how thermocompressors operate, and two common methods used to control the flows of steam and condensate through a Yankee dryer. What operating conditions affect the heat transfer from the dryer to the sheet? The working steam pressure, condensate level in the dryer, dryer coating, and the dryer surface temperature affect the drying capacity of the Yankee. 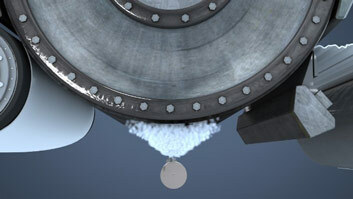 Blow-through steam exits the dryer with the condensate and helps ensures adequate condensate removal. A thermocompressor uses high pressure motive steam to pull blow-through and flash steam from the condensate tank and create intermediate-pressure steam. How is condensate removal controlled? The differential pressure (dP) controls the flow of condensate and steam through the dryer. 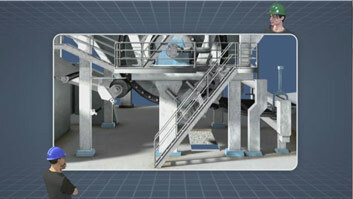 The dP is the difference between the ingoing steam pressure and the pressure on the outgoing side of the dryer. The dP can be controlled by setting a target dP and the thermocompressor opens and closes to maintain a constant dP. A second control method is measuring and controlling the flow of steam and condensate out of the dryer and adjust the dP to maintain a constant flow. Inside the yankee, the steam condenses and transfers its heat to the shell. 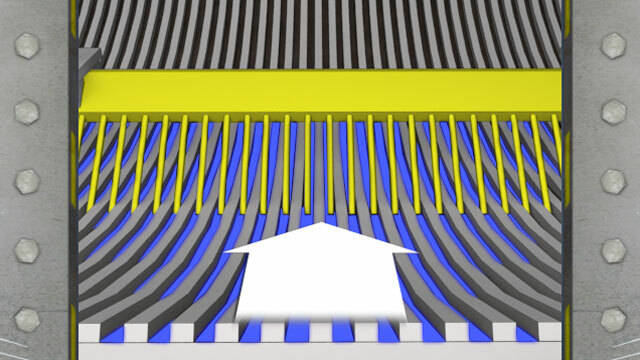 The resulting condensate must be removed at the same rate as it forms in order to maintain the efficient transfer of heat to the sheet. The condensate removal equipment includes the condensate headers, soda straws, riser pipes, and central steam collection pipe. 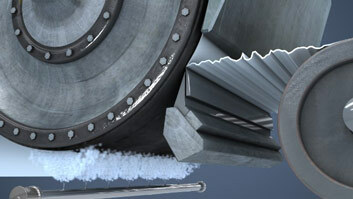 The condensate headers receive condensate collected by soda straws in the grooves of the shell. The condensate is carried away from the headers by the riser pipes to the central steam collection pipe. The soda straws are thin pipes that extend from the condensate headers into the centers of the grooves inside the dryer shell. Because the pressure inside the dryer is higher than the pressure inside the condensate headers, the condensate plus some steam, flows up the straws into the headers.